Daksh faints in the mandap knowing Anika is close to exposing him with the help of Payal. He makes a plan to disappear from the Oberoi mansion to save himself from answering everyone. Priyanka learns about Daksh’s absence. She waits for him in the mandap. She leaves her marriage and goes to find Daksh. She believes Daksh. She thinks where did he run away when he loves her so much. Its a big thing for her. She deals with her tensions. Daksh can’t help it and gets scared of getting exposed. Priyanka meets with an accident. Shivay rushes to the hospital to see her. Shivay is much upset knowing about Priyanka’s accident. He finds Daksh with Priyanka and scolds him. Daksh misleads Shivay and tells him that Anika is responsible for Priyanka’s accident. Daksh lies to Shivay that Anika fooled Priyanka, and also made him unconscious to kidnap him. He frames Anika in order to save himself. Shivay falls in Daksh’s lies. He feels shattered seeing Priyanka’s state. Priyanka slips in a coma, which becomes a big relief for Daksh. Shivay gets emotionally broken down. Daksh sheds fake tears. 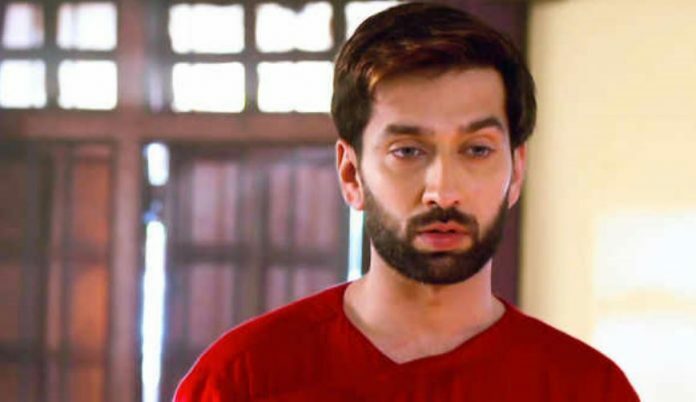 Daksh tells Shivay that he didn’t act to faint in the mandap, he was really sick and when he was resting in the room, Anika kidnapped him with an intention to stop the marriage. He cooks the fake story. Shivay rages to confront Anika and punish her, if this is true. When u don’t know the upcoming story then don’t bash unnecessarily. Shut up n get a job! Don’t watch the show, IB team would be more than happy, get lost!